At first glance, it may seem. Errggh ? Eeeww ?? ESpecially over here in M’sia, avocado is not the most favourite among the people here. In fact, it’s pretty expensive too! More expensive than most fruits / vegetable anyway. Avocado is a fruit, btw. I was amazed actually, by the fact that this lil green fruit here, doesn’t discolour! Er I mean change its colour to be darker after oxidation. Cut fruit = exposed to air = oxidize = change colour. And it replaced butter! how amazing is that. I twisted the recipe a little. Used milk instead of water and added some melted chocolate as well for the extra chocolaty gooeyness. For the avocado cream, I just added the sugar to personal liking. I’m not sure if its a pound of icing sugar I added. Maybe more maybe lesser..
Preheat oven to 350 degrees F. Grease and flour two 8 or 9-inch rounds. Set aside. Sift together all of the dry ingredients except the sugar. Set that aside too. Mix all the wet ingredients together in a bowl, including the super mashed avocado. Add sugar into the wet mix and stir. Mix the wet with the dry all at once, and beat with a whisk (by hand) until smooth. Let cakes cool in pan for 15 minutes, then turn out onto cooling racks to cool completely before frosting with avocado buttercream. Peel and pit the soft avocados. It’s important to use the ripest avocados you can get your hands on. 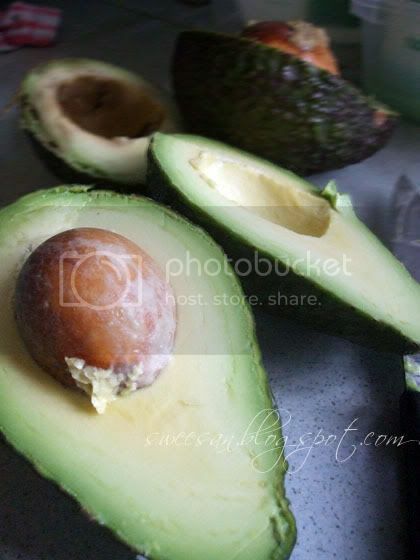 If the avocados have brown spots in the meat, avoid those spots when you scoop the meat into the bowl. Place the avocado meat into the bowl of a stand mixer fit with the whisk attachment. Add lemon juice and whisk the avocado on medium speed, until slightly lightened in color and smooth, about 2-3 minutes. Add the powdered sugar a little at a time and beat. Add vanilla extract until combined. If not using right away, store in the refrigerator. Don’t worry. It won’t turn brown! 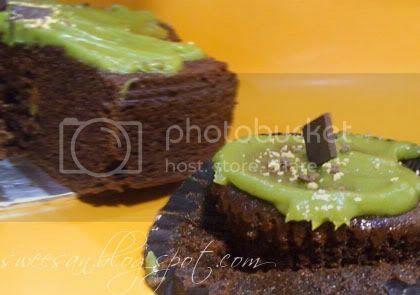 « Brownies with a kick! haha I came across this recipe too! Sounds really healthy with the avocado instead of butter, can't wait to try this! What an amazing idea?!!! I reallllyyy need to try this! Looks good to me. 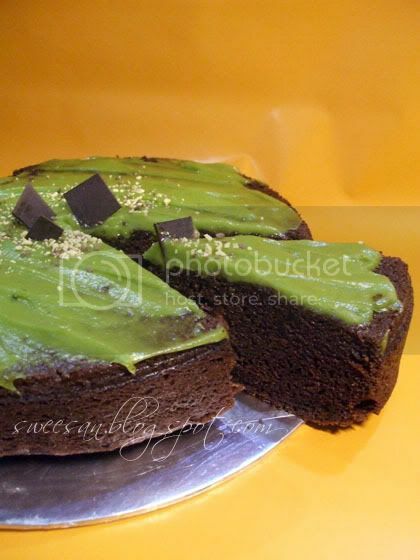 I love both chocolate and avocado.